This is sooooo good, I added a bit more Cola at the end and If you have a Bone in ham cook on High for one hour then turn to low for 8 to make sure it cooks thru. In a bowl, combine brown sugar, mustard, horseradish and 2 table spoons cola; mix well. 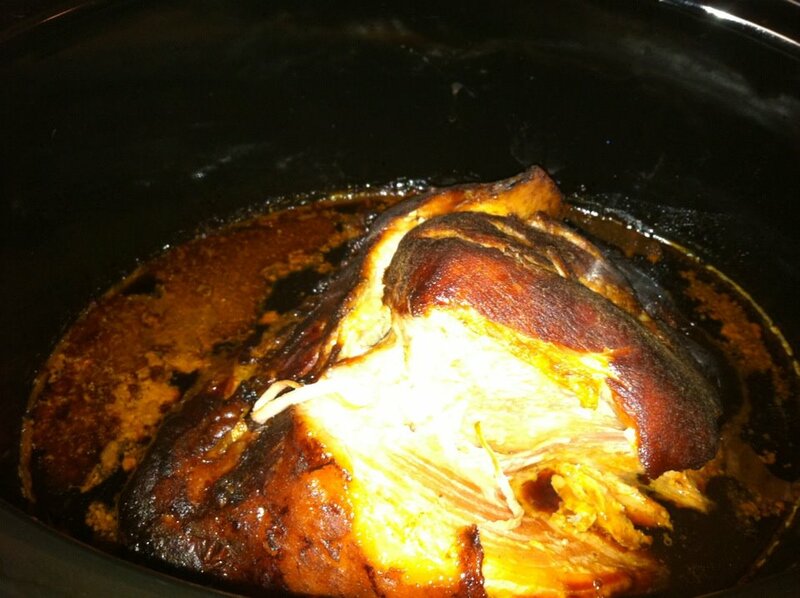 Rub over ham; place in a slow cooker. Drizzle remaining cola over ham. Cover and ook on low setting for 8 to 10 hours, or until a meat thermometer inserted in thickest part of ham reads 140 degrees. Serves 15 to 20.